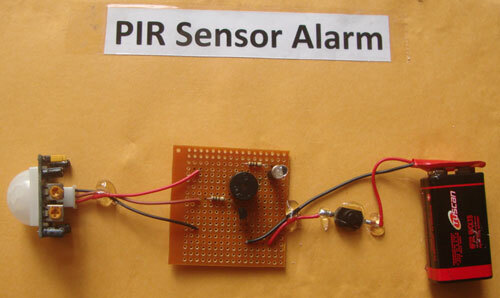 This simple alarm can be used to detect the movement of human beings at a distance of 10 meters. It works both day and night and beeps shortly when there is a human movement through its detecting range. It is ideal to monitor the entry passages, stair case, corridors etc. It is highly useful to monitor the human movements in Flats, Multi storied buildings, Shops etc. 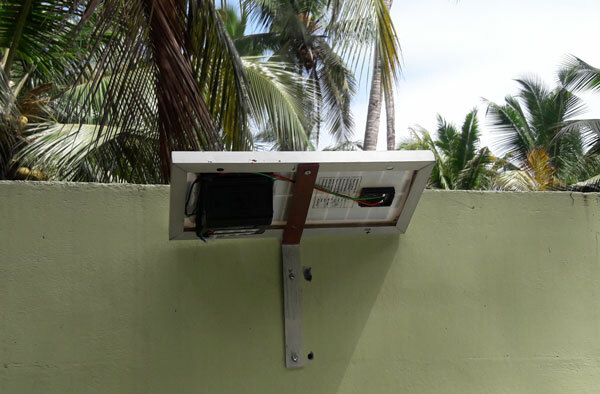 A relay can also be connected for activating lights, electric alarms etc. It can be used as a Personal alarm during journey to protect luggage. 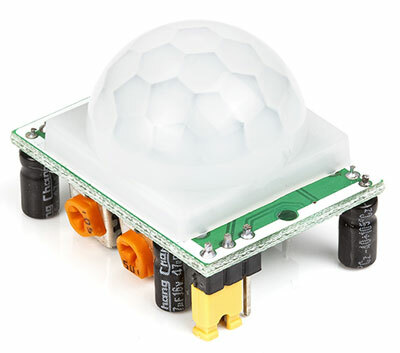 Here is an efficient Electronic Pest Repellent to chase Pests from home. It emits Ultrasound in the frequency 9 to 96 kHz which can be set for each Pest. Human can’t here the Ultrasound since it is out of human sound detection range. 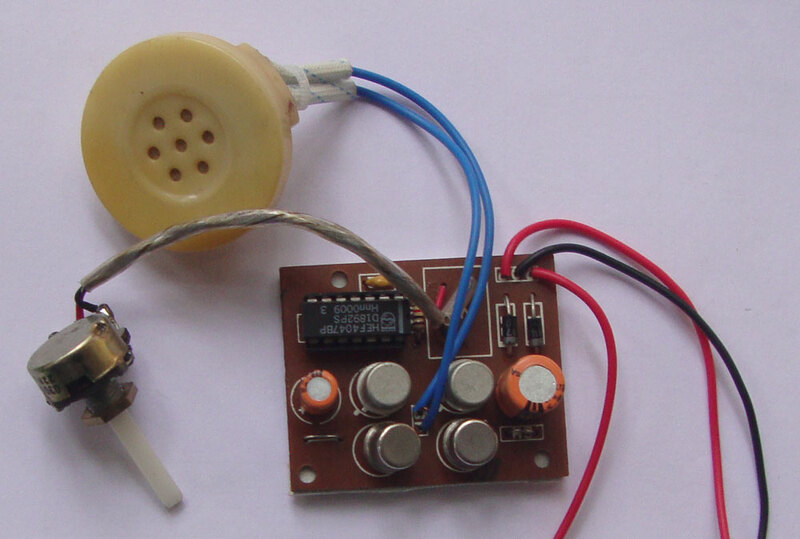 But most animals can hear Ultrasound.The circuit emits powerful Ultrasound to repel pests. Mosquitoes are usually repelled between 20 and 40 kHz, Rats around 56 kHz, Cockroaches around 36 kHz and Flies around 30 kHz. 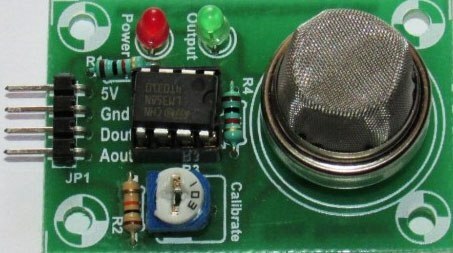 Out put power of the circuit is 2 watts 1.3 dB. It can repel Mosquitoes, Rats, Cockroaches, Wall Lizards , House flies etc from home. Made and found effective.